German hard rockers Wild Frontier is in the studio making their third full length album. Guitarist, vocalist, keyboardist and main man Jens Walkenhorst took some time off to talk to me about the past, present and future for this band. They released their first album "One Way to Heaven" back in 1994 and their second "Thousand Miles away in 1998 - so its about time!. 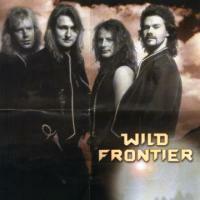 Wild Frontier has a very unique sound mixing the typical German hard rock sound with the sound made famous by Thin Lizzy and Gary Moore - the Gaelic influence is pretty obvious on "Thousand Miles away" on a track called "End of the Road" - so read on and get the essence of Wild Frontier!! 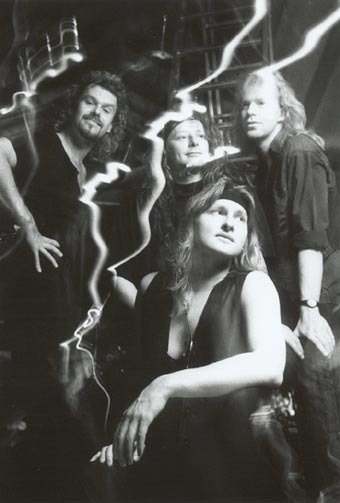 A: Yes, our band name is inspired by Gary Moore`s Wild Frontier. It´s still a fantastic album. 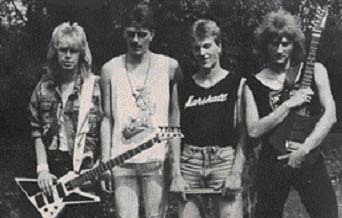 1987 was the first time we started playing melodic hardrock but Wild Frontier started in 1990. Through the years we played a lot of gigs in Germany. Then we recorded the first album "One way to heaven" in 1994. It was our first world wide release. In 1998 we released "Thousand miles away" wich includes an Irish/ Gaelic sound. By this time I was influenced by the music of "Riverdance" and "Lord of the dance". It`s such a great sound. So we wrote songs like "End of the road". Q: What/who else has inspired you throughout your career? A: We`re inspired by a lot of bands. Each band member has its own favorites like Gary Moore, Treat, Bon Jovi, Toto, Van Halen, Journey or White Lion. Q: You have been around for some years now, and I can understand that you are doing very well in Germany - how do you get along in other territories? A: Our albums were released world wide by some independent rock labels. But we had no promotion agency for each country. So by this time we`re working out to contact more countries via internet. The internet is a great promotion tool. So we´re doing the best to get a better promotion with the next album. Q: You have a very special sound on yor album(s) how do you work in the studio? How do make these guitars sound like Irish back pipes? A: I think you´re wrong! The Irish bag pipe sound is not a guitar! It´s a mixture with a hurdy gurdy, a flute and a guitar. We had some guest musicians in the studio. I think it sounds a litlle bit different! Q: Wild Frontier is a band that has had a few changes along the way. How do you get along now? Who is playing what and what do you do when you are not playing and recording? A: Yes, of course we had some changes in the band through the years. Today`s members are the same members as played on the "Thousand miles away" album. Mario Erdmann/ bass, Thomas Vitt/ guitar, Rudi Uhe/ drums and me for the vocals/ keys/ and some guitars. We`re not playing all the time. We all got families and jobs. Q: Hopefully there will be a forthcoming album soon - what plans do you have for Wild Frontier in the near future? A: By this time we´re working on the new album. We plan a release for the beginning of 2002. Maybe we sell some copies!! We hope the fans will like it! Q: In the press materiel following your record "Thousand Miles away" you mentioned your engagement with a conductor of classic music - have you recorded something of that period? A: No, we just did some demos for it but we played live at the welcome for the German goverment in Berlin. It was a live event for the television. We had much fun. We stopped the project because we couldn`t get a record deal for it! Q: What is your engagement with this football club? A: We wrote a song with german lyrics for a football club. It`s an old traditionel football club in Germany. It was an succesful job for us. We had a recording with some of the fans. It´s sounds real good! Q: When did you go online with your website? And do you get any reactions to that side of your musical work? A: Our homepage started in march 2001. The feedback is fantastic! Everybody is able to reach the latest news from the band. Q: Have you made some new "friends" and contacts through your very informative web-site? A: Yes, we did a lot of nice contacts with our web-site and I hope we will get a lot of friends in the near future! Q: Do you have any wishes/dreams for the future? Personal, musical or others? A: I think everybody in the band has a lot of dreams and I think this place is to small to write them down. For the band we hope that we can get many more fans in the near future. Every new songs is a risk so I hope the fans will love them! Thats it for now - I will be back if I miss anything - and hopefully you will have a lot of success with your terrific sound and music in the future!